→ to turn Yanping Road Zhushan County Road 151 to Tou Tou, turn right direction → to go straight to the river A highway → arrived in this park. 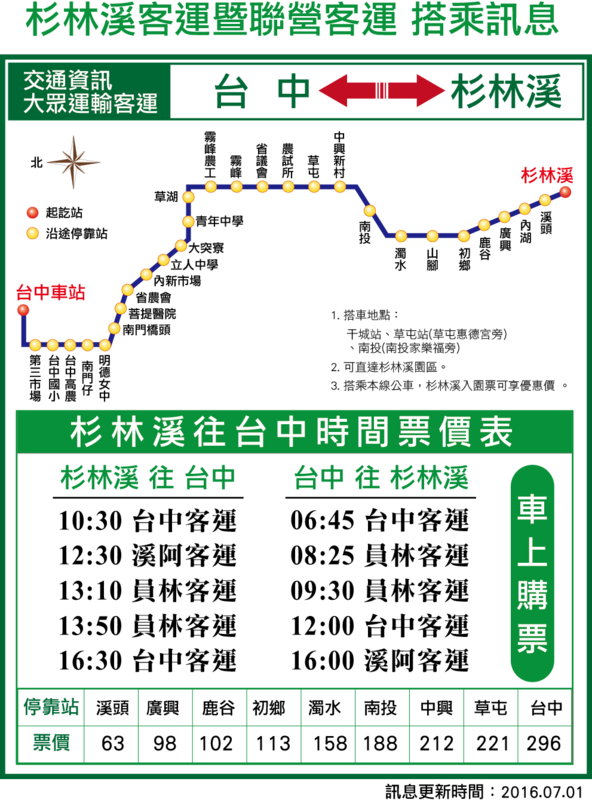 → to turn Yanping Road Zhushan County Road 151 to the direction → to Tou Tou, turn right and go straight creek A road → The park can be reached. 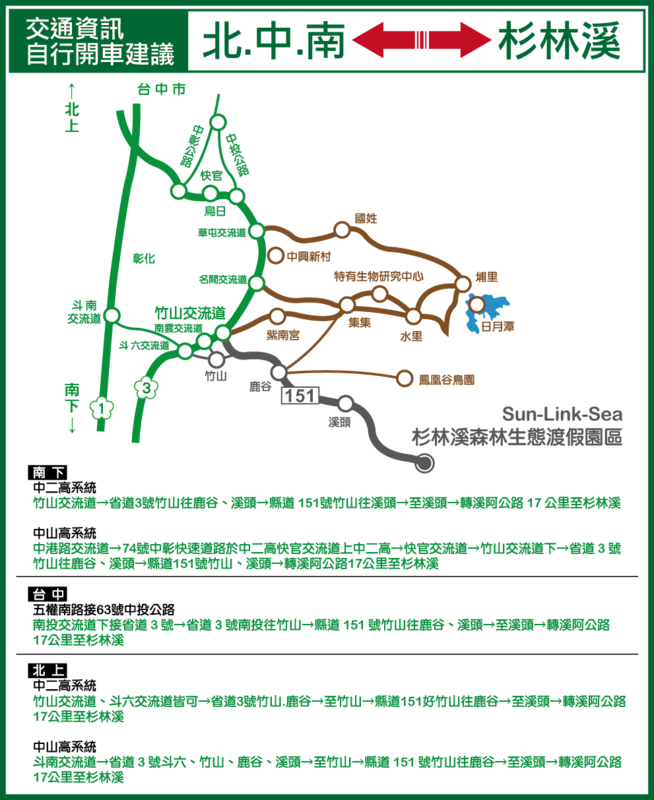 Taiwan Railway : Take Taiwan Railway to Taichung Railway Station and get off. 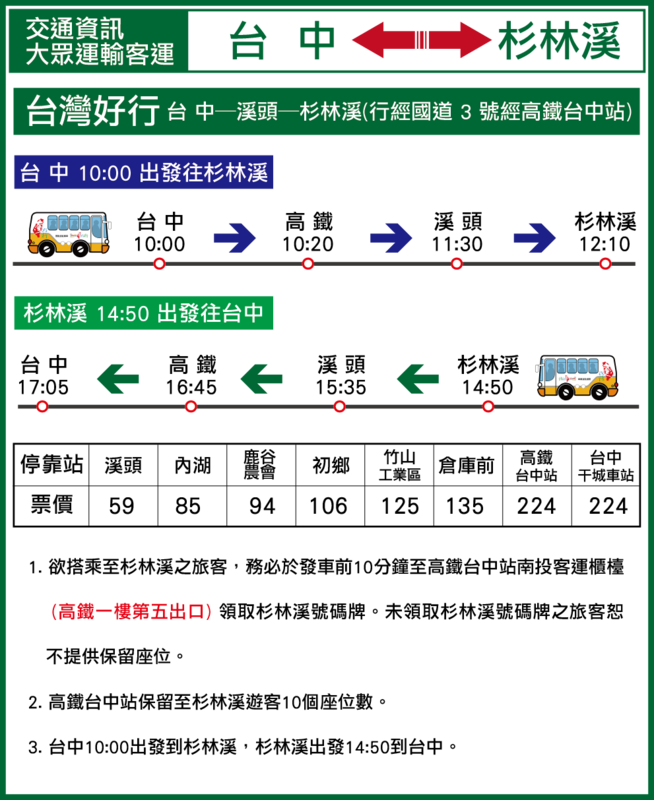 → Take the bus to Sun-Link-Sea change the direction of the joint venture, in Sun-Link-Sea Station. → Sun-Link-Sea Vacation Resorts within walking distance. Sun-Link-Sea Vacation Resorts Co.Led. All Rights Reserved.